New York City Police Commissioner Bill Bratton confirmed Monday that he has no intentions of remaining the head of the Police Department past the end of 2017, CBS News reports. "I do not intend to stay into a second term," Bratton said during an unrelated news conference with New York City's mayor. According to CBS, Bratton, 68, was responding to an interview with the New York Times, in which he talked about new challenges beyond the New York City Police Department after the end of the next year. He did not announce a specific time for his departure. "When I find the right time, that's when there'll be a consultation with the mayor," he said. "I'm not worried about getting kicked out of the place, fortunately." 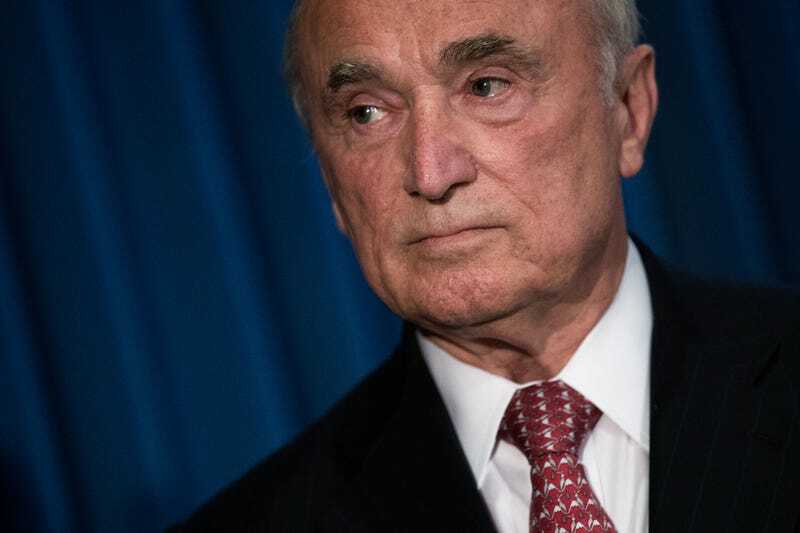 CBS News reports that last week, at a newsmakers breakfast sponsored by City & State, Bratton had said: "I will not be commissioner for six-and-a-half years. That's the reality. I'll be 75 years old by that time." However, following Bratton's confirmation of his decision Monday, New York Mayor Bill de Blasio called Bratton's announcement "very premature," and added that Bratton could run the NYPD for as long as he desired. As CBS notes, Bratton has been credited with boosting the de Blasio administration's public-safety record, with the city crime rate holding for the most part at historic lows. However, his tenure has also been marked by the deaths of unarmed black men by police, including Eric Garner and Akai Gurley. Bratton had previously served as police commissioner from 1994 to 1996 under then-Mayor Rudy Giuliani. According to CBS News, Bratton hasn't directly commented on a successor, but, the site notes, he has recently doled out praise about Chief of Department James O'Neill.